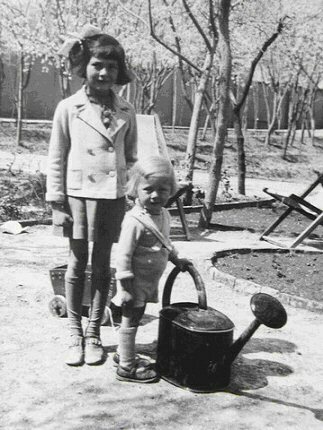 Soraya and Bijan Esfandiari Bakhtiari were the children of Khalil Khan Esfandiari-Bakhtiari, and Eva Karl of Germany. Soraya was born in Isfahan on June 22nd, 1932 and Bijan was born 5 years later on 15th of October 1937 also in Isfahan. 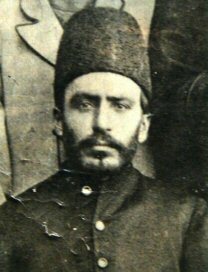 After the death of their grandfather, Esfandiar Khan (Sardar Asad)1, Bibi Maryam (Soraya's grandmother) had sent Khalil to Berlin and her other son, Soltan Morad (later Montazem-Dolleh) to London to study. It appears that the decision to send children to different European countries to study were for political reasons. The family leaders needed to be close to the spheres of influence irrespective of which super-power came on top in any given period. On the trip to Germany, a stepbrother, Hormoz Khan, accompanied Khalil. They arrived in Berlin in autumn of 1924 and were immediately drawn to it. 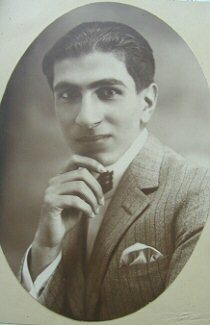 Most of Khalil Khan's time in Berlin was spent however in pursuit of beautiful blonds with whom he had great success due to his looks and his aristocratic Eastern background. He was only 21 and a student of political science when he met and fell in love with 16 year old Eva Karl, daughter of Franz Karl who had been living in Czarist Russia for some years representing German manufacturers and had returned to Germany at about the same time as the beginning of the First World War. 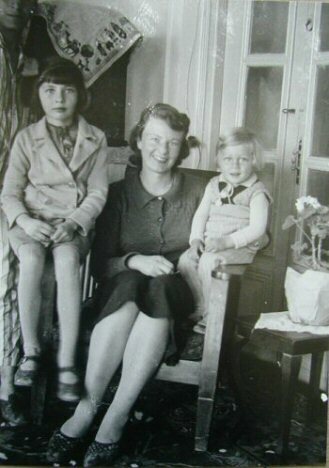 Franz Karl had three children; Eva, Barbara, and Franz. 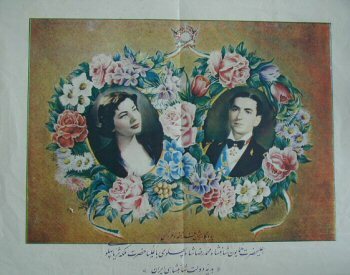 After one-year courtship, Khalil and Eva were married on the 22nd June 1926 and moved to Isfahan 2 years later. Isfahan was the birthplace of Khalil khan and most of his family still lived there so he was no stranger to the city. Isfahan had a large German community and was also known to be the center of influence of German agents like Meyr and Wassmuss who had sought and secured the protection of some of the Bakhtiaris and had plotted subversive actions against the British interests especially in and around the oil installations. In such surroundings, Khalil and Eva were both comfortable and felt secure and far away from the troubles of Europe. They began building a beautifully designed house complete with an orchard. 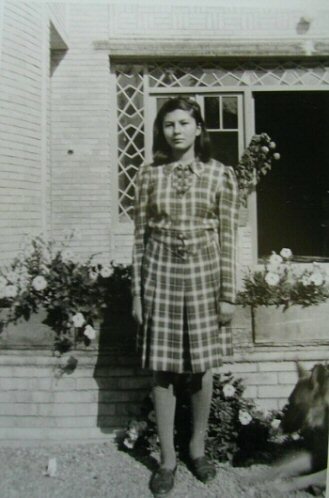 On the 22nd of June 1932 Soraya was born in the English Missionary Hospital in Isfahan. A beautiful girl with blue/green eyes. In the Persian tradition, it is usually believed that the first-born should be a boy. It would win admiration to the mother and does honour to the father. But in the Esfandiary household such customs were not of great importance and birth of a healthy child was always a good omen for an enlightened couple especially when the child was born on the 6th wedding anniversary of her parents. Soon after Soraya was born, Khalil Khan and Eva decided that the child and Eva should go back to Germany to ensure that the baby would have good health care and return when she was stronger. Khalil told his wife that he could not leave Iran at that time but Eva should take the child with her to Germany and that he would follow as soon as he could. So mother and daughter left Isfahan for Germany when Soraya was only 8 months old and considered fit to be taken on such a long journey. The trip took them to the Caspian Sea to the port of Enzeli, by boat to Baku, and then train to Berlin where they stayed with Eva's parents. Meanwhile the situation in Iran was getting very unhealthy for the Bakhtiaris as the new Shah began persecuting, imprisoning, and executing their leaders. The Shah had decided that the Bakhtiaris had to be crushed for several reasons. Their semi-autonomy was troubling to the central government and their agreement with the British over the protection of oil pipelines and shares in the oil profits were not in line with the new policies of the Shah in terms of consolidation of the shareholdings of the Anglo Iranian Oil. The Bakhtiaris were ordered to surrender their Arms to the representatives of the Government and the Khans were forced to sell or relinquish their shares in the oil companies. Bakhtiaris were also rounded up for conscription duties away from their territory. The strange bed-fellowship of the British and the Bakhtiaris was especially troubling to Reza Shah as he had become a great admirer of the Germans and had closed his eyes to the activities of the German agents in the country. He was convinced in his heart that the Axis powers would be victorious in the War. A belief that would eventually cost him his throne. An uprising by a small faction in the Bakhtiari territory gave the Shah the excuse to arrest the Khans and sentence some to death and others to varying prison terms. Khalil khan felt it was time to be away from Iran for a while and decided to join his wife and daughter in Berlin; so it was after a 6 months separation that the young family was united again. The family rented a 4 room apartment in Nestorstrasse and Khalil khan registered with the police, much against his will, as a "farmer" because his family owned land and farms in Persia. His own claim to be registered as a Khan was brushed aside as there was no such "profession" in Germany! During the family's stay in Berlin, Soraya or 'Raya as she was called, became inseparable from her grand father Franz Karl. 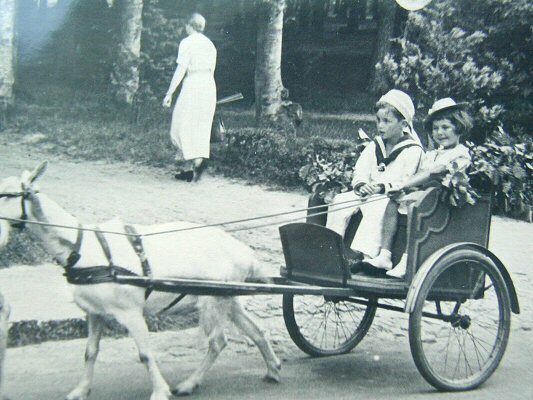 He would come and fetch her every Sunday to take her to the zoo and go for walks. Franz Karl recalled that she was choosy and would not play with everyone. She would scrutinize especially the boys most carefully and it wasn't long before she was ordering even the biggest and oldest ones about. He remembers that Soraya was quite fearless at that young age and gives an example "I remember a walk through the Grunwald, when a huge black dog pursued us. His wild looks and violent barking quite frightened me, but Soraya ran towards him and put her arms round his neck. I was terrified. There was no need to be. The dog and the little girl became friends immediately".2 From her childhood Soraya had a great love for animals. In her home in Berlin she looked after a yellow canary and a mischievous black-and-white fox terrier. A new world had opened up for Soraya in Berlin. She always remembered and recalled her first children's party outside of Berlin near one of the many lakes. There were a lottery, shooting gallery, sack racing and egg-and-spoon racing. There was also a little open-air theatre where she played the part of the Sleeping Beauty. Her part consisted solely in being awakened from her hundred-years sleep by the young prince's kiss, an experience that even at that age she found extremely pleasant! The stay in Berlin was uneventful and Khalil khan was constantly thinking of returning to Iran and waiting for the political climate for the Bakhtiaris to become tolerable. Nineteen thirty-six and thirty-seven were tough years for the young Esfandiary family. Hitler had announced general conscription and from him and Marshall Goring the talk was now of war. After an arduously long journey, they reached Isfahan. This time however, they were not particularly welcomed and the parents were immediately put under supervision by the authorities and could not leave town without the permission of the police. This was due to the order of the king that all Bakhtiari movements be watched and reported. Apart from this inconvenience, they were left in peace. By the time of their arrival, the house in Isfahan was nearly ready for occupation and it was a short time later that Eva gave birth to a beautiful boy, Bijan, on the 15th of October 1937. Soraya was now a lovely little 5 year old when her brother Bijan was born. Bijan was chubby, blond and full of life. The family started working on the house to complete it and especially on the gardens by planting more fruit trees and building a small round pond for dipping in during the hot days of summer. The design of the house was a mixture of both Persian and European. It was a comfortable home for the young family and their German Sheppard dog and a greyhound. It was equipped with wood-burning fireplaces and stoves. It also had bath with running hot and cold water, which was a luxury in those days. Soraya attended the German school in Isfahan run by a Mrs. Mentel and spent much time with the children of other German families her own age. The traditional Persian studies however were not ignored and a teacher would come to the house to teach both kids the school syllabus in Farsi. The German school remained open until June 1941 when the Allied forces closed it down and expelled the German citizens. 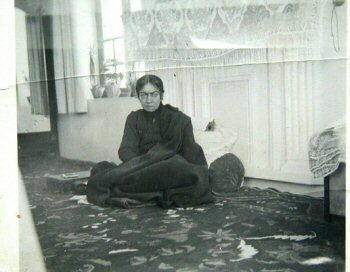 Frauline Mentel however remained in Iran and continued her teachings in private at her modest home. 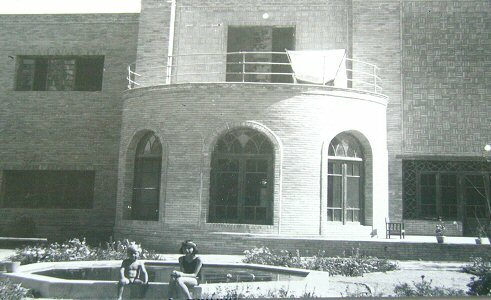 It was in 1944 that the children began their schooling at the English Missionary School in Isfahan and continued until their departure for Europe in 1947. Whenever they could, the young family would spend time in the village of Ghahfe-rokh and stayed at Esfandiar Khan's fort, play in the surrounding forest and fishing and swimming in the stream. They would also ride on horseback and Khalil khan would do some game hunting. Soraya was a pretty good rider but Bijan would get on a horse reluctantly. When the 2nd World War ended, Eva who was longing to return to Europe after 10 years in Isfahan persuaded Khalil Khan that it was time to return. 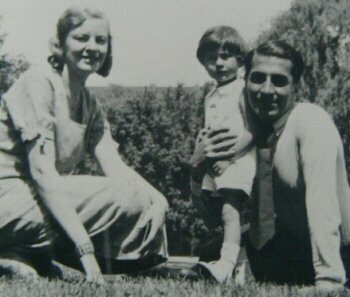 They moved to Switzerland in 1947 and rented an apartment in Zurich. Soraya was sent to "La Printaniere" in Montreaux, a finishing school to polish up her French. A year later she was transferred to "Les Roseaux" near Lausanne, another finishing school. She became fluent in French and learned some English. 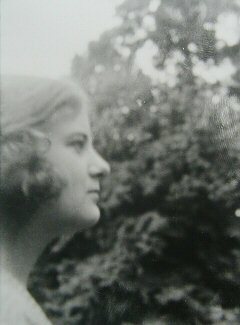 To improve her English, it was arranged that she would spend the summer of 1950 in England. Some of her 2nd cousins also lived in London. Two of whom, Goudarz, a keen amateur photographer, and Malekshah were staying at a boarding house near St. James's Park with Bibi Shoakat, Goudarz's mother and attending a language school. Soraya was also enrolled in the same school and moved in with her cousins and Bibi Shoakat in order to enjoy the protection and supervision of these family members. At this time, the Shah after having divorced his first wife, Princess Fauzieh of Egypt, was looking for a wife and many candidates were being introduced to him either in person or through photographs. One day, the Queen Mother (Taj-ol-Moluk) asked her close friend and confidant Forough Zafar Bakhtiari, daughter of Sardar Zafar, that surely she could find a suitable bride for the Shah amongst the vast Bakhtiari family. Forough Zafar began her search and remembered that one of her nieces, Ghamar Ahmadi who had just returned from a trip to Europe, had mentioned that while in Switzerland, she was invited to Khalil Khan Esfandiari's apartment and had met his daughter Soraya whom she found to be a very beautiful, well educated, and spoke several languages. Ghamar Ahmadi also added that Soraya was now studying in England to polish up her English. When Forough Zafar mentioned Soraya to the Queen Mother, the Queen asked to see some photographs. Forough Zafar contacted Goodarz, in London and asked him to take some photos of Soraya and send them to her in Tehran as soon as possible. As it was just after the World War II, mail was not very fast or efficient so it took a while for the photos to arrive. Meanwhile, before the arrival of the photos, Princess Shams was traveling to London to see and interview two other candidates for the Shah. Forough Zafar asked the Princess, "while in London, perhaps you could also arrange to meet Soraya Esfandiari by inviting my nephew Malekhah. I will make sure he brings Soraya along with him so you could meet her personally". The meeting took place at the Princess's private suites and she was so impressed by Soraya's beauty and personality that she dispatched an urgent message to the Queen Mother telling her that "Having met Forough Zafar's cousin, I don't need to see any other girl. This woman is born to be a Queen. She is beautiful, very well educated, and has excellent mannerism".4 At this time the photographs from London also reached Forough Zafar who immediately took them to the Queen Mother who in turn passed them on to the young Shah. The Shah looked at the photographs and listened to the description that Princess Shams had given of her, and expressed his desire that they should meet. Message was sent to Princess Shams to bring Soraya to Tehran with her. 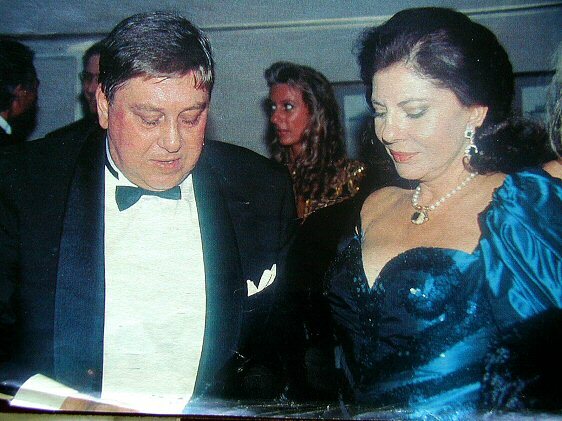 Soraya writes in her memoirs, "Le Palais de Solitudes" that "when Malekshah asked me to go to the reception with him, at first I was reluctant to meet any of the Pahlavi family because of what they had done to the Bakhtiaris but I had heard that Princess Shams was a nice and attractive women so my curiosity got the better of me". Princess Shams and Soraya went to Paris from London to do some shopping at the fashion houses of Dior and Channel. Upon hearing the news of Soraya's impending trip to Tehran, Forough Zafar wrote to Khalil Khan telling him what was happening and suggested that he should join the Princess and Soraya in Paris. 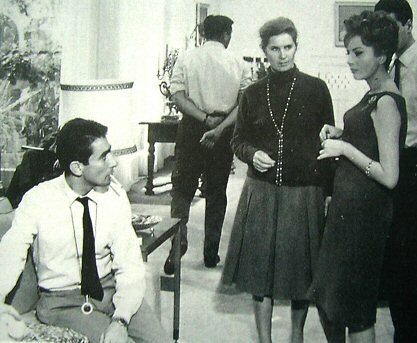 The Princess and Soraya flew from Paris to Rome where they were joined by Khalil Khan and then on to Tehran. Coincidentally, Amir Jang was also traveling to Tehran on the same flight but unaware of what was happening. It was with a full wardrobe of the latest Parisian fashion that they arrived in Tehran. Soraya was pretty much exhausted after the long trip and wanted to rest but the Queen Mother and the Shah were so curious to see her as soon as possible that she was summoned to the Queen Mother's palace for a small dinner the same evening. The Royal family received her warmly and for a quarter of an hour, they exchanged small talk followed by the usual Persian custom of enquiring after her health and the health of her relatives! They all awaited the arrival of the Shah. Princess Shams had told Soraya that her brother was not particularly handsome in order not to raise her expectations. At last someone announced the arrival of His Majesty the Shah. They all got to their feet and the Shah appeared in the dress uniform of a general of the Iranian Air Force which was evidently his favourite uniform. He embraced his mother and then Soraya was presented to him. The two were drawn to one another instantly and sparks began to fly. At the dinner table, Soraya sat next to the Shah and talked about Switzerland and the country around Montreux and Lausanne and her likes and dislikes. After dinner they played games and the family became more relaxed. Late that evening Soraya left to get some sleep but at 2 in the morning the Shah telephoned and asked to speak to Khalil Khan. When Khalil Khan came to the phone, the Shah told him that he is asking for Soraya's hand and he wants to know how she felt about it. Soraya's answer was of course yes as she too was smitten by the young handsome Shah. Next morning, the imperial Court informed the news media and Soraya's photographs were distributed amongst the newspapers.5 The next day the Shah came to visit Soraya who was staying at Amir Hossein Khan Zafar's villa, and began courting her. 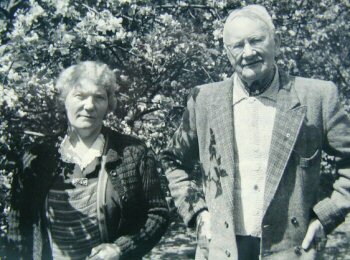 It was towards the end of that year on the 11th of October 1950, that they were officially engaged. In the ensuing weeks, the Shah and his fiancée saw one another almost daily and with each meeting, they grew more intimate. They went riding in the foothills of Shemiran, played tennis, and went flying with the Shah at the controls. In the evenings the Shah's sisters and brothers gave small parties for the couple that were lots of fun. They also inspected several of the Royal palaces in and around Tehran for their future residence. Soraya eventually chose one modest and small palace on Pasteur Ave as their future residence and decorators were hired to do the necessary work. The couple also set a date of December 26th as their wedding day. At this time, Soraya suddenly fell ill with typhoid and as her fever did not abate, the wedding was postponed. Shah and Soraya lived very happily and very much in love for the next two years without much event until the relationship between the King and the popularly elected and nationalistic Prime Minister, Dr. Mossadegh came to a head. The events that led to the events of 1953 have been well documented and many of the details have now been written about and no need to go through them in this article. It should however be mentioned that the Shah, the British, and the US had agreed that Mossadegh ought to be dismissed from his post and the Shah subsequently ordered his dismissal and remained in his residence by the Caspian awaiting news of Dr. Mossadegh's reaction. First reports were not good and he decided to leave Iran with Soraya and his personal pilot. After a brief stop in Baghdad, the Royal couple arrived in Rome with mush anxiety and not sure of the next phase of their lives. 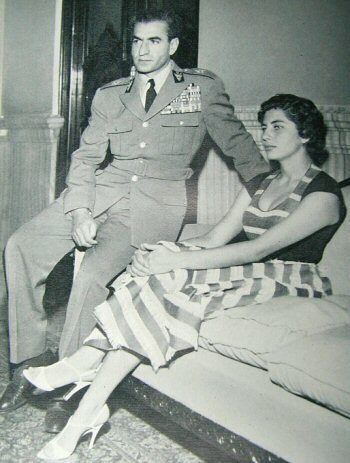 The Shah and Soraya stayed at the Hotel Excelsior in Rome. The media was having a field day and one interview after another was being given. Soraya is well remembered in her dotted strapless dress and her large sunglasses. It was two o'clock in the afternoon of 19th August 1953. The Shah and Soraya had just returned from a shopping spree and were having lunch at the hotel's dining room when a young reporter from Associated Press came to their table and triumphantly handed them a Teletype message. It read: "MOSSADEGH OVERTHROWN-IMERIAL TROOPS CONTROL TEHRAN-ZAHEDI PREMIER". The news had just come over the Teletype and while they continued with their lunch, the AP reporter hastened back and forth between his office and the hotel bringing them the latest breaking news and developments. Soraya was calm but the Shah had turned so pale that Soraya feared he might faint. The Shah and Soraya embraced and rushed downstairs where all the media had gathered. As the royal couple reached the lobby, the hotel manager rushed forward and handed the Shah a telegram, which had just arrived. The telegram read: "Your Majesty, the people of Iran have risen. We are all awaiting Your Imperial couple's safe and speedy return to the capital" the telegram was signed: "General Zahedi, Prime Minister". The CIA and the British Intelligence Services had pulled off the coup successfully the Shah returned to Tehran on the 21st August 1953 to a hear t warming welcome. Soraya also returned shortly after. Soraya liked having some of her family members around her at the Court. Rostam Amir Bakhtiar became her Private Secretary and Malekshah Zafar, Ghobad Zafar, Majid Bakhtiar, Salar Bakhtiar and Jamshid Bakhtiar became frequent visitors to the Court and were nightly partners of the Shah in games of Poker and Bridge. General Teymour Bakhtiar, a distance cousin of Soraya, a brave and charismatic commander of an Armoured Brigade who had moved towards Tehran at the head of his brigade to back the Royalists, was rewarded and became the Military Governor of Tehran. He later became the most powerful man in Iran as the head of the newly formed Internal Security, SAVAK. The quiet days of marriage followed. The Royal couple were constantly together and they had time to travel. Amongst the trips were the state visit to Russia in 1956 to meet Mr. Khrushchev; other visits took them to India, the United States, Britain, Turkey, Spain, and Lebanon. These journeys also provided a sort of delayed honeymoon for the couple.8 Back in Tehran, Soraya busied herself with renovating and fixing up their residential palaces and attending to charity organizations formed under her patronage. 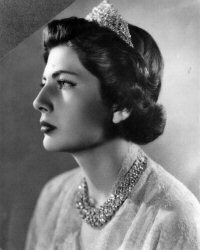 "Queen Soraya Pahlavi Charity" was the principal charity of her patronage, which was formed and managed efficiently by Forough Zafar. Meanwhile, the Shah had appointed Soraya's father ambassador to Germany, a post he cherished even though he did not involve himself with the duties of an ambassador. He left that to the Minister and other Foreign Office professionals posted to the embassy. When in 1949 an attempt was made upon the Shah's life from which he escaped with only minor injuries, his advisers urged him to consider an heir for the sake of continuity of the monarchy. In many instances in other monarchies of the world, a brother or an uncle would be appointed as heir until a direct heir was born but the Shah always resisted such suggestion. He did however consider for a while, appointing Prince Ali Reza as his heir but when he died in an air crash, this subject became more troubling. With the political situation in Iran becoming quiet and more stable, the question of succession became a topic of everyday conversation and concern between the Soraya and the Shah. Soraya had been to every known specialist in the world to find a cure for her sterility but of no avail. Even during their December 1954 visit to the U.S. Soraya was seen by the best but the news was not encouraging. One doctor had suggested a very risky operation with a minimum chance of success but maximum risk, which the couple did not accept. One day in July 1957 the couple went for a long walk in the Palace grounds. The Shah talked about the dynasty's survival and brought up the heir issue and the fact that they would soon have to make a decision no matter how painful. They talked about alternatives like the Shah taking a second wife and perhaps changing the constitution to allow one of his half brothers to become king after him. They couldn't agree on any of these alternatives and found each one unacceptable. They finally decided with tears in their eyes and with very heavy hearts, to separate. Before departure for Europe, Soraya burnt all her personal papers; packed her souvenirs and gifts she had received, and left Tehran on the 14th of February 1958 never to see her beloved country again. 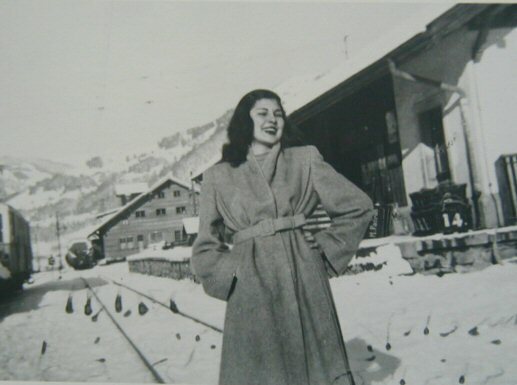 Soraya settled in the Shah's Saint-Moritz villa for a while and during her stay, the Shah would call her every day, and then he decided to stop. From Switzerland she went home to stay with her parents in Germany for a while. Amir Jang, the elder of the family and a Senator was dispatched to see Soraya in order to try and persuade her to agree to the Shah taking a second wife but she refused. General Yazdanpanah accompanied by his wife and General Dr. Ayadi also traveled to Germany on two occasions to persuade Soraya to return. Eva received them but Soraya refused even to meet with them. 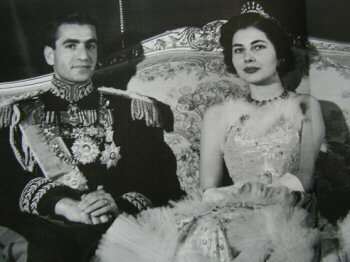 The Shah and Soraya divorced on the 14th March 1958 after 7 years of marriage. They had already said their sad tearful good byes in private. Their love for one another remained until the end. Soraya began her grief in private and in dignity like a true Bakhtiari. The Shah had been intent on providing a life of comfort and dignity for his ex-Queen. He had settled a sum of money on her in addition to having made several settlements in her favor during the course of their marriage in the form of money as well as land and securities. 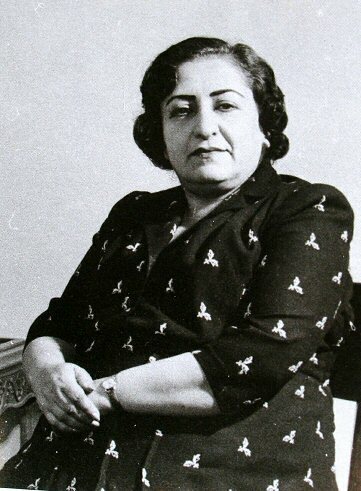 Soraya under advise from her father, had invested well so at the time of the divorce, she had a modest fortune that together with the Shah's final settlement would be enough to enable her to live in comfort. 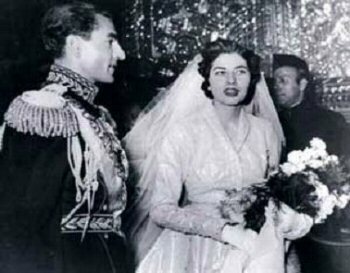 The shah also issued a special decree and bestowed upon Soraya the title of Imperial Princess for life accompanied by a diplomatic passport. She therefore became by rank, equal to Shah's sisters and the Persian Embassies had to continue treating her as a member of the Royal family. Furthermore, in the European society, she took precedence over many members of the highest nobility. She enjoyed the diplomatic passport and the privileges that came with it until the 1979 Iranian revolution when King Hassan of Morocco ordered that a Moroccan diplomatic passport be issued to her. 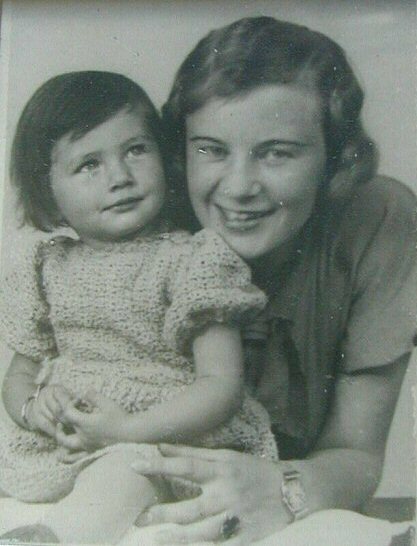 Eventually, she became a German citizen just a few years before her death. 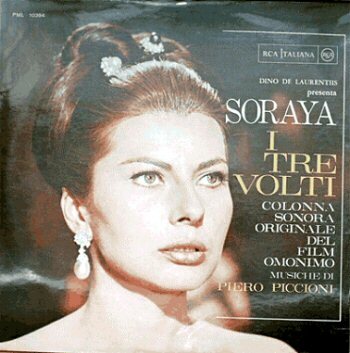 Soraya lived in Rome for a while heart broken and a recluse. She rented a pretty villa located among vineyards, thirty minutes from Rome. Her old friends would come and keep her company but on the whole she lived quietly and slowly began to enjoy her new life but her restless soul could not settle down. Soon, she became restless and during the summer months when Rome became too hot, she traveled to Northern Europe and stayed in Cologne for a while with her mother with whom she felt secure. The period of sadness and aimless life seemed to have no end for her. Now alone and without any aids or protection of the Imperial court, she had to do everything herself, and even harder still was that she now had to learn how to live the life of an ordinary citizen again. She was alone, frightened, and uncertain of her future. Her only security and comfort was in her immediate family. She began traveling extensively. She moved from Rome to Cologne, to Munich, to Paris, to Rome to Monaco and eventually ended up in Rome again. She was allured by the movie industry as it had always been her dream to one day become a movie star. She met Dino de Laurentis at a party one evening in Rome. Dino offered her a role in a movie he was making. Soraya readily accepted. The movie's title was "Three faces of a woman" and Mauro Bolognini, Michelangelo Antonioni and Franco Indovina directed it. The movie was a disaster. The rumor has it that when the Shah heard that Soraya was to appear in a movie, he was so infuriated that the whole world would now his ex-wife in romantic scenes that he ordered all the copies be bought and destroyed. 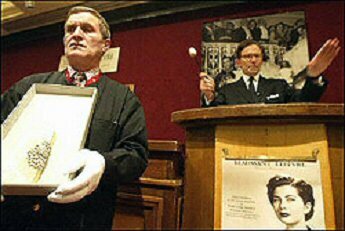 Soraya kept one copy, which was eventually sold at the auction of her estate in Paris in May of 2002 together with all her personal effects. Princess Soraya fell under the spell of Franco Indovina and found comfort in his expressions of love. A passionate love affair began to flourish between the two but the future was uncertain. Franco was married and had two children. Indovina told her that he would divorce his wife and they would have a life together.9 Soraya left for Munich and came back 6 months later to join Franco who had just separated from his wife. The couple had a blissful 5 years of life together filled with love and happiness until that fateful day on the 4th of May 1972 when Franco's plane crashed in Sicily and he was tragically killed. This second blow to her life and the tragedy of losing her loved one in such manner drove her at first into a period of total solitude. It took her several months to come out of the state of grief and moved to Paris where she was welcomed and embraced by the High Society of the European nobility most of whom found it a privilege to have the ex-Empress of Iran on their guest list. She also spent much time in her villa in Marbella, Spain. 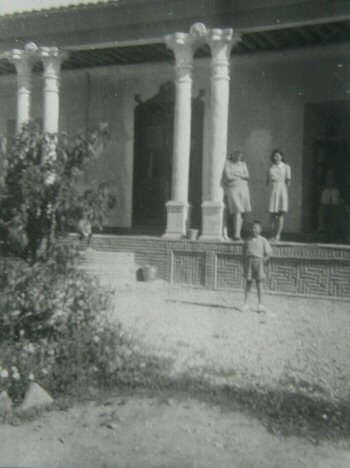 Soraya continued her life in Paris and spent her summers at her Villa Maryam (named after her grandmother) in Marbella, Spain. She moved in the high society circles and spent her time with a select few friends. The sad end came at 2 PM Thursday 25th of October 2001. She was only 69. Her maid found her dead on the floor of her bedroom in her apartment at 46 Ave Montaign. Apparently a massive brain hemorrhage was the cause of Soraya's death. The service at the American Church in Paris, a close walking distance from Soraya's apartment was arranged for the 7th of November 2001 and her brother Bijan along with other family members and Paris dignitaries were to attend the services. Bijan, aided by a companion, traveled by car from Koln a few days earlier. Sadly while staying at Hotel George V in Paris, Bijan died suddenly before he could attend the funeral of his sister. On the day of the service, "Cathedrale Americaine de la Sainte Trinite" in Avenue George V filled up with approximately 400 friends, family and dignitaries including Count of Paris Henri d'Orleans, Prince Gholam Reza Pahlavi and his wife, Beatrix de Hohenlohe, Rixa de Oldenburg, Anne de Bourbon, some members of the Bakhtiari family and her friends. Outside the Cathedral, a large crowd of camera teams and photographers from all over the world had gathered looking for prominent faces. 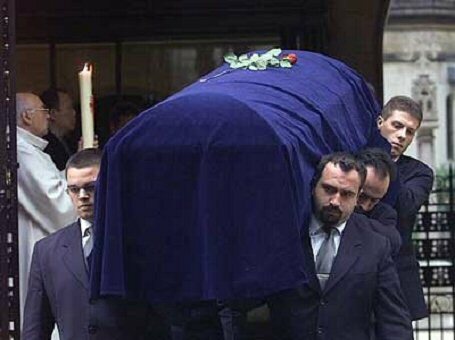 The memorial service began at 3 PM when the coffin was brought in draped in blue silk and adorned with a single rose carried by 6 pallbearers. Canon Sharon Gracen gave the sermon. During her sermon, she recited some of Rumi's writings; she was followed by some kind words and remembrance by the ex-ambassador of France to Iran, Francis Dore, followed by Alexandre de Villiers who had once been commissioned by Queen Farah to write a book about Iran and the Imperial family. A distinguished former cabinet minister of Iran, Dr. Majid Majidi spoke on behalf of the Iranian exiles in France and expressed his condolences to the Bakhtiari family for their loss. Iranian soprano, Darya Dadvar delivered a beautiful Ava Maria by Franz Schubert to the music of the organist. The body was taken to Germany on Friday 16th of November and buried in her family tomb in the cemetery of Westfriedhof, Munich. As a young girl, Soraya had pictures of some movie stars framed, in addition to a photo of the young Shah. She would tell all her friends and cousins that one day she will either become an actress or marry the king. Both aspirations became realities but none brought her lasting happiness. 1844-1903. "Sardar Asad" was a title given by the king. Sardar means, "Head of the Army, or a General". Dr. Ayadi was a very powerful man who had the ear of the Shah. He was a wealthy landowner and had the concession for the export of Iranian shrimp from The Persian Gulf. He was a leader of the Bahai sect in Iran.